Current owner says his 1958 CHRIS-CRAFT SPORTSMAN 17 was fully restored in 2011 and is in "Very Nice Condition" As received from the current owner; Purchase in 2017 with no survey Have never had boat in water since purchased Pictures of the boat in water are before the restoration Cannot confirm engine runs Original 1958 Chris-Craft 95 HP K-95 engine All wood hull ***I have not inspected this vessel in person. Pictures and details have been provided by the owner, please do not hesitate to contact me with any specific questions, to submit an offer, or schedule a showing*** Stock #174168 RESTORED IN 2011..! 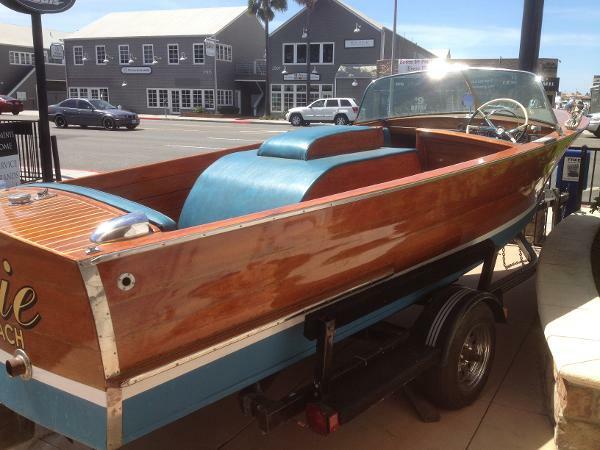 1958 CHRIS CRAFT SPORTSMAN..! ORIGINAL CHRIS-CRAFT ENGINE..! NEW BOAT COVER..! 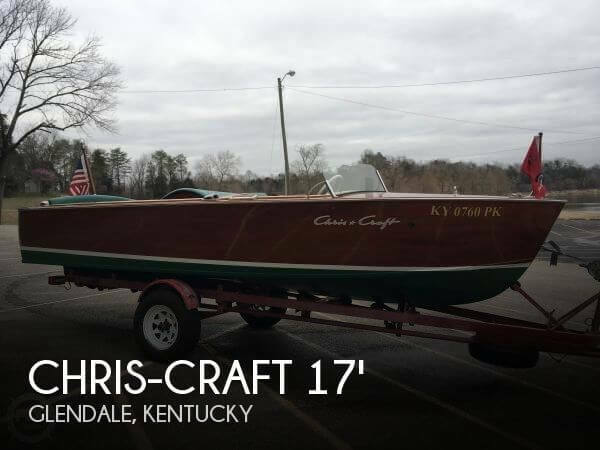 If you are in the market for an antique and classic boat, look no further than this 1958 Chris-Craft Sportsman 17, priced right at $19,500 (offers encouraged). 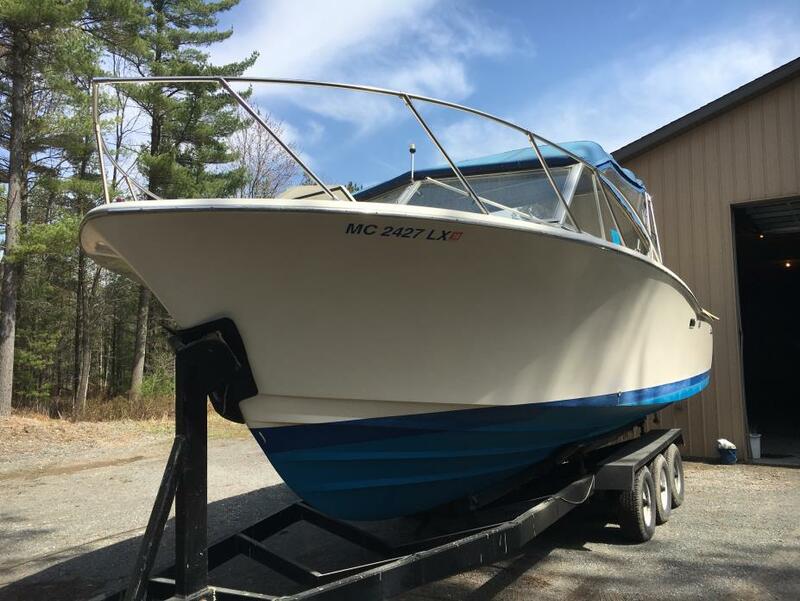 This boat is located in Beaverton, Michigan and is in good condition. She is also equipped with a Chris-Craft engine. Reason for selling is change of interests. 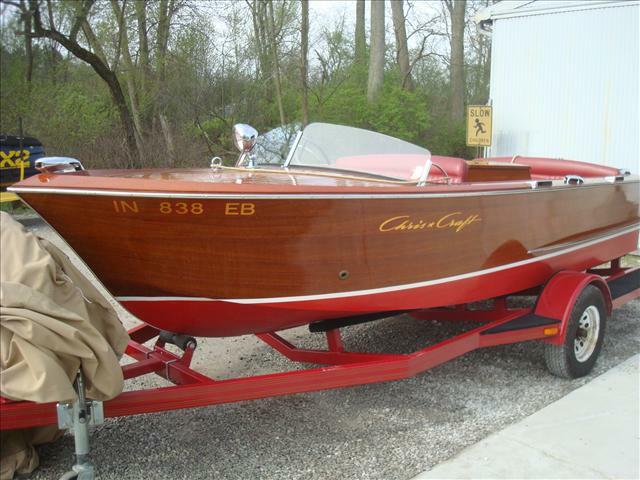 This Chris Craft is in excellent condition having been totally restored only a few years ago. The engine is not original to this boat as the block froze, but this is a Chris Craft from the same year that has less than 10 hours. This is a single carburetor 95HP Model 'K'. The engine starts easily and runs smoothly. The trailer is solid with recent fenders, axles, wheels, and tires according to the owner. 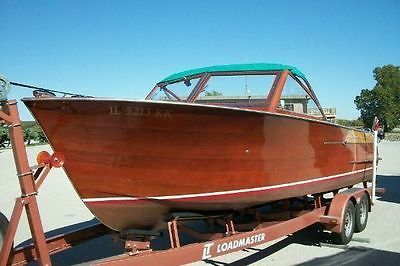 Stock #142527 1958 17' Chris Craft "Sportsman" model all wooden boat. All of the wood is mohagany with matched light and dark grains on both sides. 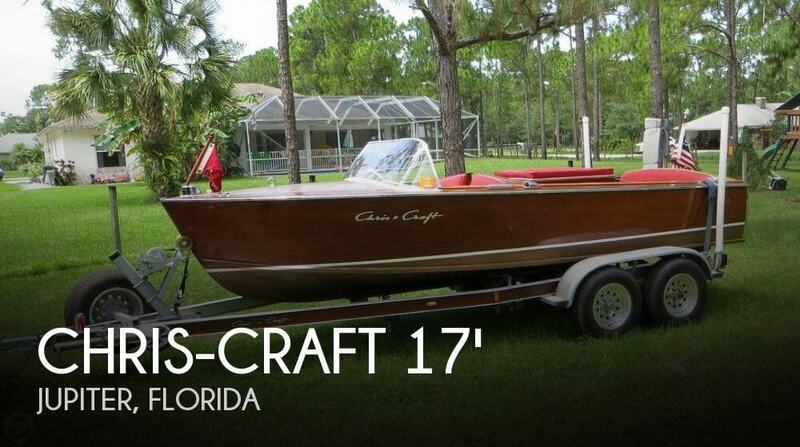 If you are in the market for an antique and classic boat, look no further than this 1958 Chris-Craft Sportsman 17, just reduced to $19,500 (offers encouraged). This boat is located in Kenansville, Florida and is in great condition. She is also equipped with a Chris-Craft engine that has only 10 hours. Reason for selling is no longer using. Bottom line, the boat is beautiful and ready to go. its been professionally restored and upgraded by the best professional restorers in the industry Seller is the third owner and has only owned this boat for the last six months. The engine is a 283 V8 Chevy small block, and was completely rebuilt in 2000 and only has 227 hours since rebuild. All manuals, brochures, original receipt for boat delivery and the original Chris Craft manual and a small model of boat for your desk is included. The varnish was re done this winter by the professionals at Woodies Restorations in Russell Springs, KY and as you can see, she looks absolutely amazing! They removed all hardware, did all of the wet sanding, applied three new coats of varnish, did the re-striping, etc. The transmission was replaced this winter by the same company as well along with replacing points and completely tuning up the engine. In 2000, under the previous owner, every plank was removed, planed and replaced if needed. A new Rayco fuel tank was added, modern gauges as well. and a new 5200 new solid bottom was applied. In a nutshell the boat was completely refurbished It also comes with a custom, fitted cover that has the side and rear flaps for complete protection of the boat. Stock #141781 This vessel was SOLD on November 20. 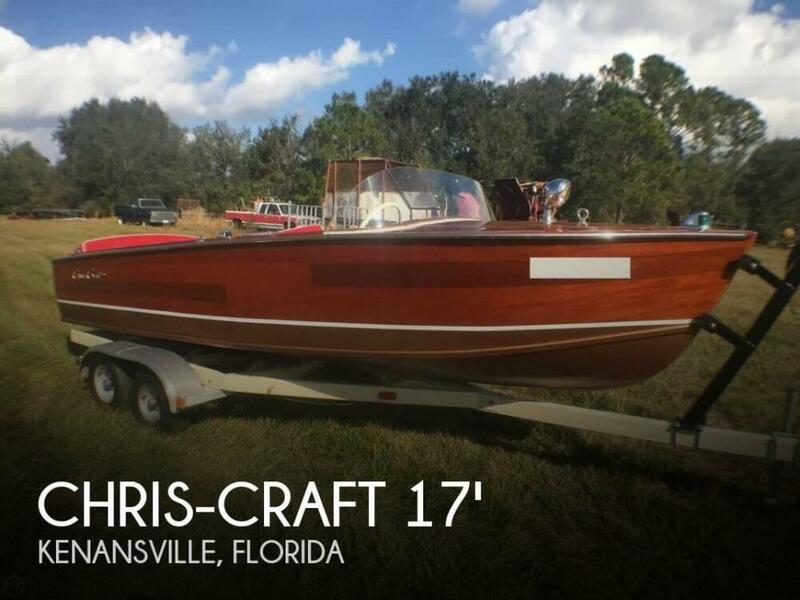 If you are in the market for an antique and classic boat, look no further than this 1957 Chris-Craft 17 Sportsman, just reduced to $18,999 (offers encouraged). This boat is located in Glendale, Kentucky and is in great condition. She is also equipped with a Chris-Craft engine that has only 227 hours. Overall the vessel is in excellent condition. Dusty. Some of the bottom paint is peeling toward the bow. One area near the bow has a plank that is slightly uneven due to some deterioration. The remainder of the hull is smooth and fare and the varnish shines. All emblems and logos are in great shape. The Gold leaf on the stern is bright and is used on the registration numbers as well. The windshield is clear and free of any scratches. The weather stripping shows some dirt but no discoloring. The stainless trim has a screw that has backed or popped out on the stem. There is a small chip on the plastic center steering wheel cap. The white waterline stripe has a small area of peeling at the stern. The seat cushions are stored under a cover & in a metal carport/barn. The engine compartment is tidy and the engine appears to be in proper order. The shaft and rudder appear to be in order as well. The engine is the original to the boat and was rebuilt by George Shen a known Chris Craft engine expert. It is a Chris Craft Hercules K model with 131HP The gauges were rebuilt by Pat Powell. The restoration of the vessel was completed by the owner. The owner's favorite part of the boat when asked is the Sound! The boat has never been is saltwater. It has been stored and covered but seldom used since around 2006 due to the owner having some mobility difficulty. Stock #053053 Fresh Water Only Boat! Ready to Water Trial! If you are in the market for an antique and classic boat, look no further than this 1957 Chris-Craft 17 Sportsman Utility, just reduced to $10,000 (offers encouraged). This boat is located in Jupiter, Florida and is in great condition. She is also equipped with a Chris-Craft engine that has only 20 hours. The classic Chris-Craft cuddy cabin design. You know this is what you always dream about running around the lake on, so why are you waiting? This is a central listing and as such, I have not personally inspected this vessel. The features listed are provided by the seller and reliable online sources but please verify any features that are important to your buying process. 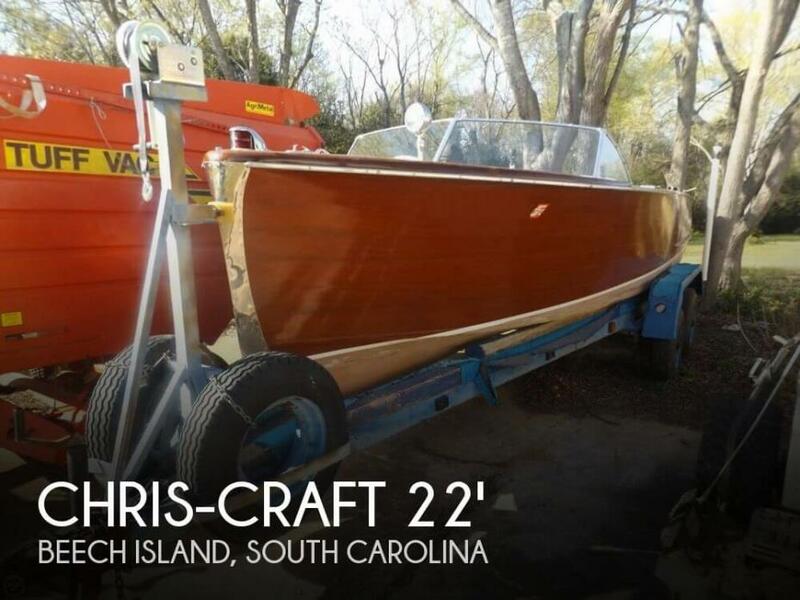 Stock #131721 Professionally restored 1964 Chris-Craft Sea Skiff! Runs and looks great! If you are in the market for an antique and classic boat, look no further than this 1964 Chris-Craft Sea-Skiff Sportsman, priced right at $29,000 (offers encouraged). 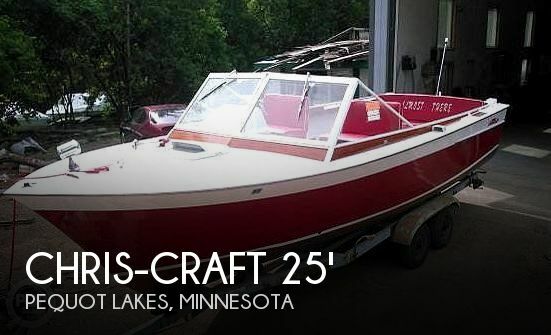 This boat is located in Pequot Lakes, Minnesota and is in decent condition. She is also equipped with a Chris-Craft engine. Reason for selling is ready for new adventures!!!. This Sportsman has spent her last few years in the weather of Big Bear California with cold winters and warm summers. She hasn't seen the water for quite a few years. January of 2017 a high wind sent the neighbors barn into the boat which caused the hole in the side, the bent steering wheel and more of the damage you see. Stock #116912 This is a true classic! 3 Owner boat in need of a restoration. 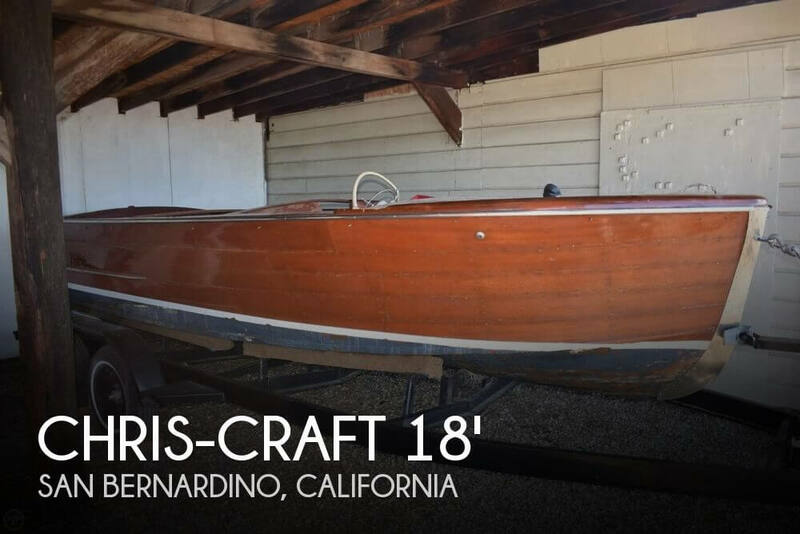 If you are in the market for an antique and classic boat, look no further than this 1945 Chris-Craft Sportsman 18, just reduced to $9,500 (offers encouraged). This boat is located in San Bernardino, California and is in need of lots of work. She is also equipped with a Chris-Craft engine. 1976 Chris Craft Sportsman Attention: Extremely Rare 1976 30 foot Chris Craft Sportsman for Sale!! I have a very sought after 30' Sportsman built by Ray Hunt for sale. It is hull no. 003, the third ever built. I am the second owner, and have used this boat to fish salmon/trout on Lake Michigan since 1985. The original owner was from Toledo. This boat has never seen salt water and has been stored inside 6 to 7 months out of each year. I am currently working on some structural and hardware maintenance including new strut bearings, rudder and shaft repacking etc. This boat will be available for inspection and sea trial the first week of May. The boat is powered with twin crusader 350's with Borg Warner Trans 1:91 to 1 gear ratio. The boat has hydraulic steering and trim. It has a radar arch with Ray Marine radar, lowrance sonar, refrigerator, wash down etc... It does not have the original 1976 layout. It has been refitted with comfortable seating for seven on custom built cabinets. This boat comes with an extremely well built tri axle trailer ready for hauling down the highway which is included in the selling price. If you are not already familiar with the history of this particular limited edition Ray Hunt designed hull, it is probably not for you. Please, I don't need help selling the boat and I am not interested in lowball offers or trades. Serious inquiries only please... The asking price is $51,500... I can be reached at (231) 425-0288. Thanks for looking!! 1963 Chris-Craft 18 utility sportsman sea skiff, Very nice with original 283 engine and approx. 1998 custom trailer. Has cover and interior and exterior was redone a few years ago, and still looks fantastic. 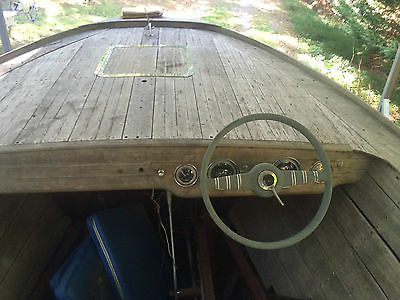 1951 Chris Craft Sportsman New Arrival. 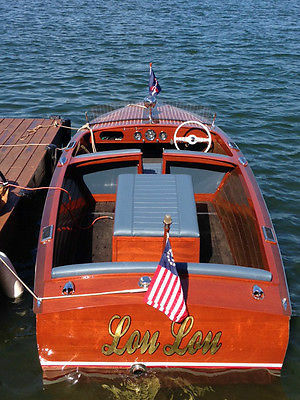 Beautiful 1951 Chris Craft Sportsman!Classic Chris Craft. Recently serviced.Trailer Included! !She wont last long - This is the one you have been waiting for! Come take a look! This boat was obtained by a friend of mine through divorce proceedings. For the most part all of the gauges and parts are still with the boat. This boat has quite a history as it is the same boat that was in the move On Golden Pond. The boat is in restorable condition. However, at this price the boat could be used for parts. The trailer alone is worth over $1K. The trailer recently moved the boat over several hundred miles with no incident. Please let me know if you have any questions. The seller is motivated and is looking to move this boat. 1977 - Classic Chris Craft 20' Sportsman with trailer. 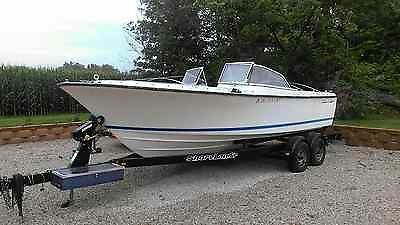 CLASSIC CHRIS CRAFT RUNABOUT / SKI BOAT20' 1977 Sportsman Chris Craft with trailer. New Chevy 350 / 325HP crate engine. More than $8000 invested in engine alone. This boat has been re-done by professional fiberglass and engine personal from a well known Indy Car team (previous Indy 500 winner). Strong engine with zero time except for dyno time and 15 minute sea trial.......runs excellent. Outdrive in perfect condition with new gimbal bearing and bellows. The trailer is a new Shorelander with approximately 250 miles on it. She does need a little cleaning; been sitting under cover for a few years and need to sell. $1000.00 deposit required (paypal or other agreed to arrangements) on accepted bid and full payment via wire transfer only within 24 hours at the close of auction. Sea trial & survey at the buyers expense. Purchase price is fully refundable if the vessel does not pass survey or sea trial. Shipment is buyers responsibility. Boat is located in Indianapolis, Indiana.Tax, tag, title, registration, etc... sole responsibility of purchaser. (boat & trailer have a clear title)Delivery may be an option depending on location with prior agreement.Please email me for any questions you may have. 1977 - Chris Craft 20' Sportsman with trailer. 20' 1977 Sportsman Chris Craft with trailer. New Chevy 350 crate engine. More than $8000 invested in engine alone. This boat has been re-done by professional fiberglass and engine personal from a well known Indy Car team (previous Indy 500 winner). Strong engine with zero time except for dyno time and 15 minute sea trial.......runs excellent. Outdrive in perfect condition with new gimbal bearing and bellows. The trailer is a new Shorelander with approximately 250 miles on it. She does need a little cleaning; been sitting under cover for a few years and need to sell. $1000.00 deposit required (paypal or other agreed to arrangements) on accepted bid and full payment via wire transfer only within 24 hours at the close of auction. Sea trial & survey at the buyers expense. Purchase price is fully refundable if the vessel does not pass survey or sea trial. Shipment is buyers responsibility. Boat is located in Indianapolis, Indiana.Tax, tag, title, registration, etc... sole responsibility of purchaser. (boat & trailer have a clear title)Delivery may be an option depending on location with prior agreement.Please email me for any questions you may have.